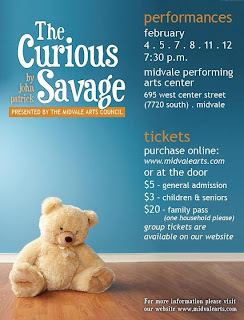 Does the title, ""The Curious Savage" catch your interest? I was not at all familiar with this production, but adore the director and many of the folks performing (talent, talent, talent! ), so I decided I needed to support them. I'm not a fan of straight plays, let me just put that card on the table. I find them not A.D.D.-friendly enough for me. I've seen 80-ish productions in NYC and not one has been a straight play. 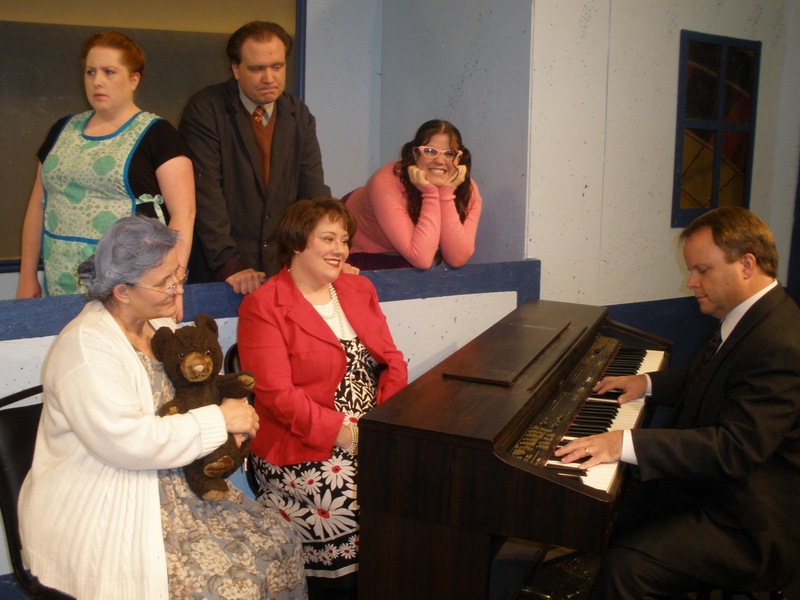 But Midvale Arts Council current production is an exception to this rule. You need to see it. There are three more performances (tonight, Friday, Saturday) - grab your Valentine for a sweet treat (only $5!) at this eclectic little theater I love (performed in 1940s Radio Hour there). I know you all probably think I tell you to see every show I see, but if you knew all the shows I attend, you'd realize I don't even promote a third of them. The gist is that a woman's children commit her to "The Cloisters" for being insane. We learn, throughout the course of the show, that perhaps insane isn't so negative, that perhaps the "normal" people are the ones who are insane. The characters will make you laugh over and over (I'm partial to Fairy May), while the ending will catch your emotions a bit off-guard. This conclusion elevates the show to a different level, leaving you with a distinct, lasting impression. 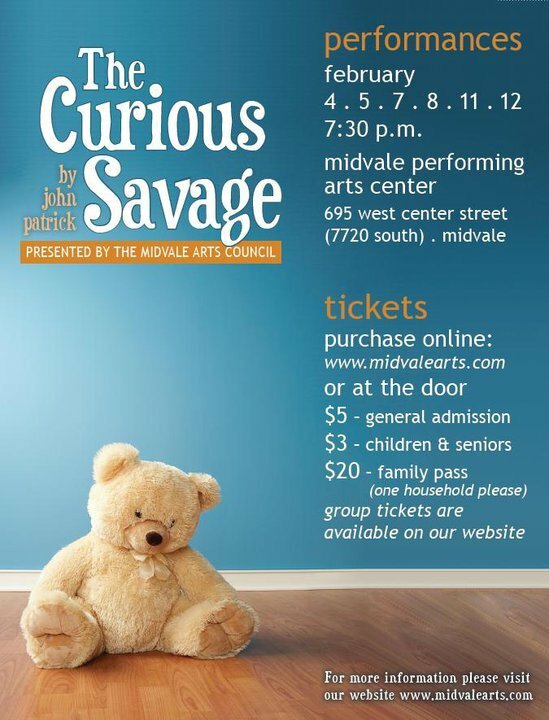 Support my dear Nichole, Tim, Nancy, Stephanie, and the rest of the cast - see "The Curious Savage." Very good summary! Couldn't have said it better myself. Nice reciprocation!! Thank you! Oh more shout outs to come, yo!! I saw Curious Savage for the first time when I was at Ricks College. I think I had to attend a play for a Humanities credit and it was the end of the semester and so I went. Loved it. Then I saw WJHS do it several years ago. Loved it, cried once again at the ending. So..it was a no brainer when Midvale put it on. Loved and cried yet again. I love this play. Don't miss it!